The 47th meeting of the North American Network Operators’ Group (NANOG) was held over Oct 18-20 2009 in Dearborn, Michigan. Many of the presentations are now available in the Presentation Archive. As part of the IETF 74 meeting in San Francisco, on 24 March the Internet Society organized a panel of experts from industry and other thought leaders on the to discuss the pressing need to adopt Internet Protocol version 6 (IPv6) to ensure the continued growth of the Internet as a platform for innovation. 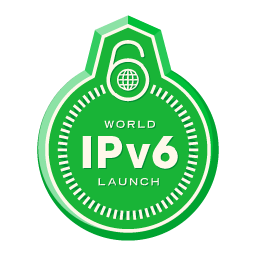 IPv6 is the next generation Internet Protocol (IP) standard intended to supplement, and eventually replace, the IPv4 protocol most Internet services use today. To help ensure the continued rapid growth of the Internet as a platform for innovation, IPv6 tackles some of IPv4’s shortcomings – most notably a limited amount of remaining addresses. While the technical foundations of IPv6 are well established, significant work remains to deploy and begin using IPv6 capabilities. Because IPv6 is central to the continued growth and stability of the Internet, the Internet Society is working with its members and other organizations to promote its deployment by sharing information and helping to build the required operational capability among the Internet community. Tokyo, Japan; Reston, VA; and Geneva, Switzerland – 25 November 2008 – A new award, providing recognition and support for those progressing IPv6 development on the Internet, was announced today, following last week’s 73rd meeting of the Internet Engineering Task Force (IETF). The “Itojun Service Award” honours the memory of Dr. Jun-ichiro “Itojun” Hagino, who passed away in 2007, aged just 37. The award, established by the friends of Itojun and administered by the Internet Society (ISOC), recognises and commemorates the extraordinary dedication exercised by Itojun over the course of IPv6 development. ICANN At-Large forms IPv6 migration working group. At the recent meeting in New Delhi the ICANN At-Large Advisory Committee (ALAC) formed a policy working group to focus on IPv6 migration issues. Tony D’Agata, vice president of federal sales for Sprint told InternetNews.com that Sprint is ramping up some specific IPv6 offerings that are expected to be ready in the second quarter of 2008. In a new interview with Network World, Jim Bound, Chair of the North American IPv6 Task Force, talks about the status of IPv6 adoption in the United States. A federal mandate – that agencies switch to an IPv6 backbone by June 2008 – looms.